Thursday had far messier weather than people seemed to expect. And many thought forecasters dropped the (snow)ball. But they didn't. Here's what happened and how meteorologists are often faced with a "lose-lose" situation. 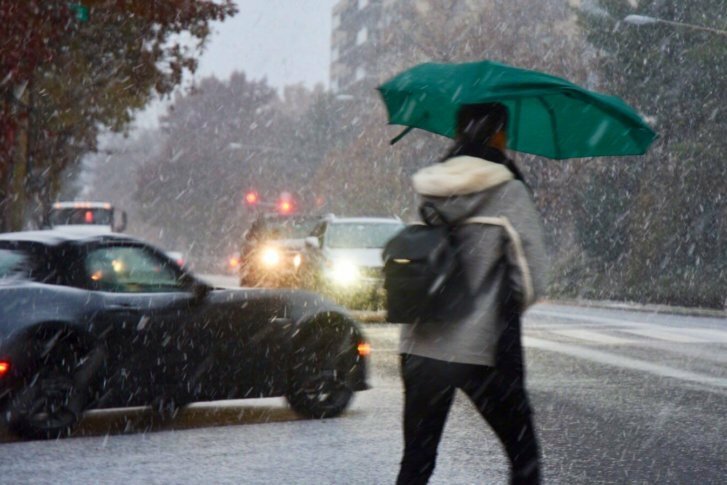 WASHINGTON — Here’s the part where we tell you what you already know: Thursday had far messier weather than people expected. And many thought forecasters dropped the (snow)ball when it came to warning people how treacherous things were going to be. But NBC Washington Storm Team4 meteorologists (WTOP’s news partners) weren’t wrong and had been sounding the alarm about how bad conditions could get. That wintry mix started between 3 a.m. and 7 a.m., which was when it had been predicted to kick off. What wasn’t fully anticipated was how much snow would stick to roads in the region, despite major traffic arteries being pre-treated. Temperatures dropped below the freezing mark for almost the entire D.C. area, Ricketts told WTOP. 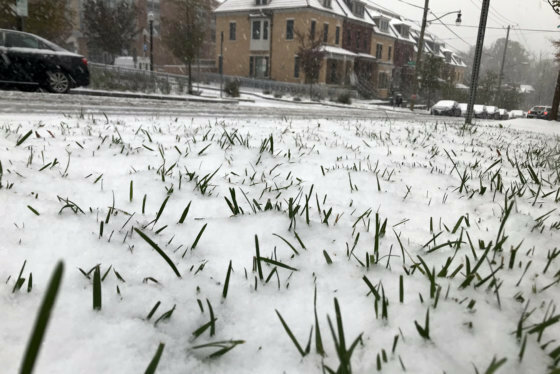 The weather being just slightly colder allowed more snow to accumulate, snow rates were higher than expected and it all came together during the heart of the morning rush-hour commute. Driving conditions did not help the situation. Virginia Department of Transportation and the Maryland Department of Transportation pre-treated roads in the hours before the snow fell. Many WTOP listeners submitted photos of snow-covered side streets. “I think that’s something we probably all need to get better at — communicating with VDOT, with local governments (on) exactly what to expect,” Ricketts said. Another issue? Winter forecasting is tough. Steven Zubrick, science operations officer with the NWS weather forecast office covering the Baltimore-Washington area, backs Ricketts up. According to Zubrick, the NWS gave residents and transportation officials a range of weather possibilities for Thursday. “That range essentially went from … little or no accumulation in the D.C. area” to what people are seeing Thursday, with areas to the north and west getting hit harder, Zubrick explained. D.C.’s first snowfall has created conditions that are cold, wet and dangerous for many commuters. It isn’t just snow either. There’s also sleet and freezing rain to contend with. See photos. “The other thing that happens with the storm system is you get periods of intense snowfall or precipitation, and that chills the whole atmospheric column down to, essentially, the freezing point throughout an entire layer,” Zubrick said. The end result? Say hello to snow. And it can all change given just a couple of degrees in either direction. “It’s very challenging to predict that, especially in the early season, to predict that it’s going to be just above freezing,” Zubrick said. Still, Ricketts understands people’s annoyance. But that doesn’t mean meteorologists botched their predictions. “I think we did a good job of forecasting: ‘Hey, there’s going to be a wintry mix in the morning,'” Ricketts said. She urges D.C.-area residents to always err on the side of caution no matter what. One unique aspect of the snowfall is how early it came to the region. Measurable amounts haven’t hit the D.C. area this early since 1996. According to Ricketts, there were only trace amounts on Nov. 13 and Nov. 26 in 2012. Lo and behold, Washington did. But that doesn’t mean people aren’t criticizing weather forecasters. “It’s almost a lose-lose situation for us sometimes because we blow it out of the park and say, ‘Hey, listen, the roads are gonna be snow-covered. It’s gonna be a mess out there tomorrow morning everywhere,'” Ricketts told WTOP. Ricketts says people need to make sure they stay on top of weather forecasts because they can change quickly.